Moderate price growth and a decline in sales continued the trend in the Toronto residential home sales market in November. 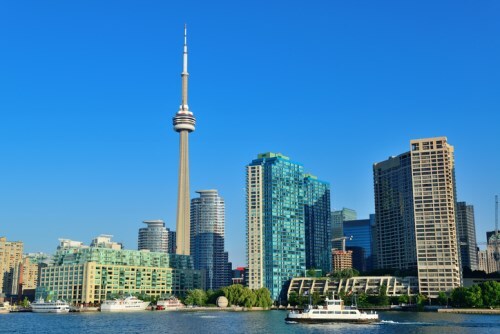 But in some markets there appears to have been an increase in competition in some parts of the market according to the Toronto Real Estate Board. Sales through the MLS totaled 6,251, down 14.7% year-over-year; although November 2017 has seen a spike in demand as the market was distorted by approach of mortgage stress tests. "New listings were actually down more than sales on a year-over-year basis in November. This suggests that, in many neighbourhoods, competition between buyers may have increased. Relatively tight market conditions over the past few months have provided the foundation for renewed price growth," said TREB president Garry Bhaura. On a preliminary seasonally adjusted basis, sales were down by 3.4 per cent compared to October 2018. The MLS Home Price Index (HPI) Composite Benchmark was up by 2.7% year-over-year while the average selling price was up 3.5% year-over-year to $788,345. The average selling price after preliminary seasonal adjustment was down by 0.8 per cent compared to October 2018. "Home types with lower average price points have been associated with stronger rates of price growth over the past few months. Given the impact of the OSFI-mandated mortgage stress test and higher borrowing costs on affordability, it makes sense that the condo apartment and semi-detached market segments experienced relatively stronger rates of price growth in November, as market conditions in these segments remained tight or tightened respectively over the past year," said Jason Mercer, TREB's Director of Market Analysis.